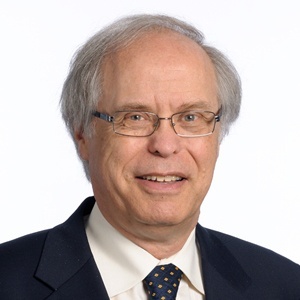 Bob Aaron is a sole practitioner at the law firm of Aaron & Aaron in Toronto and a past board member of the Tarion Warranty Corp. Bob specializes in the areas of real estate and mortgages, corporate and commercial law, estates and wills and landlord/tenant law. A leading practitioner in the legal profession, he served as an elected Bencher of the Law Society of Upper Canada for over 16 years and is now an ex-officio life Bencher. His Title Page column appears on alternate weeks on Move Smartly and in The Toronto Star. What happens when there is a significant discrepancy between the way a home is described on an MLS listing vs. the Agreement of Purchase and Sale? Special issues can arise from shared driveways and other shared property points. Toronto’s own zoning regulations are standing in the way of its goal to create 40,000 affordable housing units. What happens when an owner receives an incorrect status certificate issued by a condominium corporation? The Ontario government’s decision to repeal the Green Energy Act has also changed the rules for homeowners looking to sell their properties. What happens when the rights of smoking and non-smoking tenants and landlords conflict? Home buyers need to come up with the money for a winning bid - even in a declining market. Do the Homeowners or Photographers Own the Rights to Property Photos? When the sellers of a home hire a stager to help market and sell it, who owns the rights to the before and after photographs? If a lawyer receives an incentive from a title insurance company for arranging a client's policy, who should get the benefit: the lawyer or the client? This is the sad story of a $109,000 flower box. It all began in a large project of 213 condominium garden homes known as Bethamy Woods, in Ottawa. A recent court case emphasizes the importance of using a survey and getting accurate property measurements before signing an agreement in a home purchase. How is it that 22 condominium owners in a north Toronto development do not own the units they are living in? Is a purchaser entitled to back out of a real estate purchase deal if she finds out before closing that the home was the site of a murder? Dozens of purchasers in a Mississauga condominium project are awaiting news of further developments after the project was destroyed by fire earlier this month. Who Pays When You Slip and Fall on Someone Else’s Property? Winter in Toronto can bring the early morning sounds of neighbours’ shovels on driveways and sidewalks, and snowplows on roads. Editor's Note: This article was first published in July 2017.
Who has Authority to Correct Land Registry Errors? When does a real estate deal close — when the deed is registered, when the keys and money change hands or when the seller moves out of the house? Mortgage fraud may no longer be on the front pages, but the fallout from hundreds of past fraud cases is still wending its way through Ontario courts. Does a mortgage lender have the right to add the outstanding balance on your Visa card to the amount outstanding on your mortgage? Victory for non-smoking condo couple in B.C. In 2005, Stuart signed an agreement to purchase a condominium unit for $326,900 in an upscale 20-storey project not far from the Annex area. Who's getting rich off Rich Dad? MoveSmartly blogger Bob Aaron was featured on CBC's Marketplace as host Erica Johnson invistigated complaints regarding "Rich Dad" real estate seminars. A recent decision of the Ontario Court of Appeal has come down strongly in favour of the rights of individual condominium owners. Last week's column told the story of the illegal chimney on a north Toronto bungalow owned by Ruta Benjamin and her husband. Will cheaper access to justice mean more litigation? With less than a month to go, the Ontario court system is in for one of its biggest shake-ups in recent memory. Is green roof bylaw valid or a cash grab? Sonia James learned the hard way that it's not always a good idea to sue your lawyer and blame your misfortunes on him or her. Over the last 18 months, approximately 700 older homes in Ontario have been insulated with a product containing urea formaldehyde foam insulation, or UFFI. The Ontario Court of Appeal has written what may well be the final chapter in what I call The Case of the $100,000 Fence. Is a real estate agent responsible for accurately advertising the lot size? What happens if he or she gets it wrong? When it comes to consumer issues, my goal in this column is to educate, protect, and occasionally, entertain. The fallout from mortgage fraud cases in recent years continues to occupy the attention of lawyers, judges and the innocent parties involved. A decision of the Superior Court of Ontario last month was a powerful reminder that real estate disputes can become very costly if they ever reach a courtroom. A scary tale of an oil leak in an Ottawa-area home provides a valuable lesson for homeowners whose homes are heated by oil. A decision of the Ontario Superior Court earlier this year provides a valuable lesson to property owners whose homes were once heated with fuel oil. A recent spate of counterfeit certified cheques hitting Toronto-area law firms threatens to slow down the efficient processing of real estate transactions.